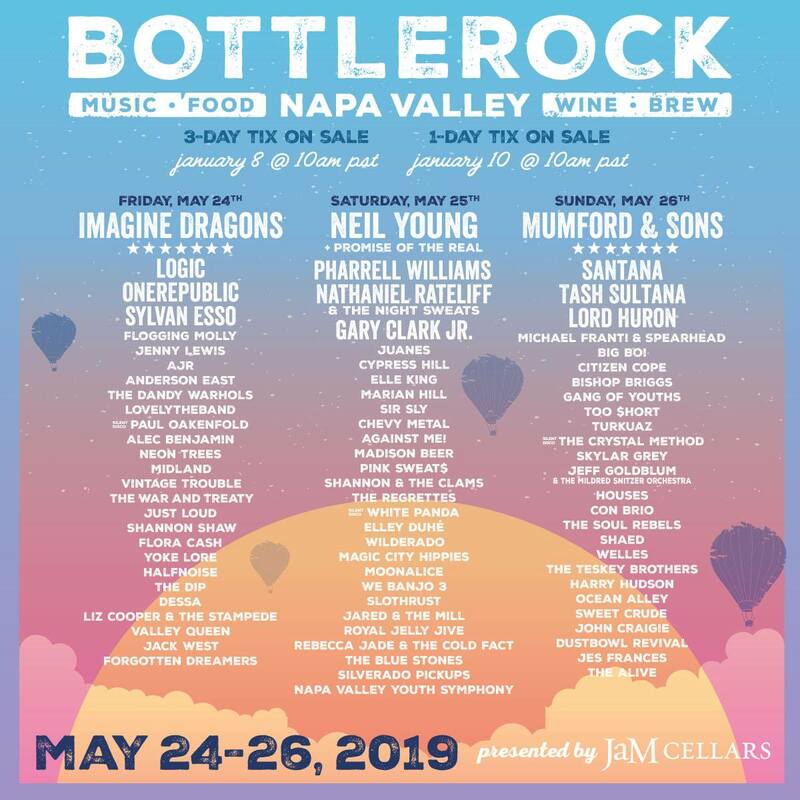 For three action-packed days from May 24 through 26, 2019, the best in music, wine, craft beer and cocktails, food, and more will be coming together for BottleRock Napa Valley 2019 in Napa, California. 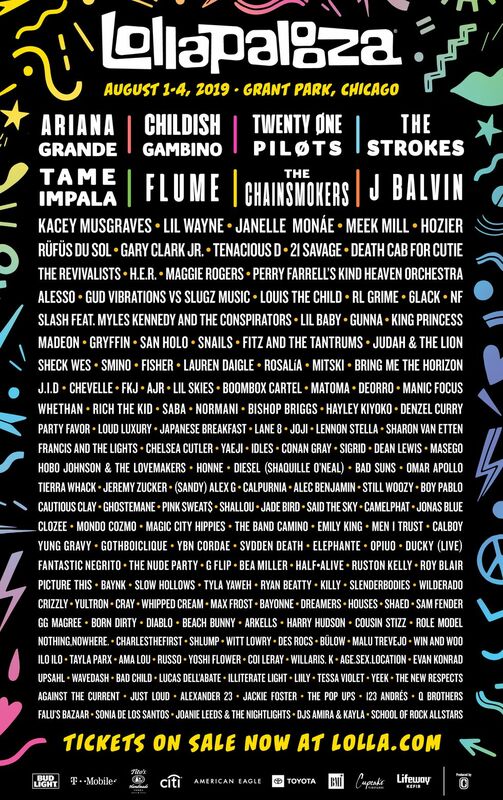 This year’s musical performers include Imagine Dragons, Neil Young, Mumford & Sons, Logic, Pharrell Williams, OneRepublic, Santana, Sylvan Esso, Flogging Molly, Gary Clark Jr., Tash Sultana, Bishop Briggs, The Dandy Warhols, Elle King, Marian Hill, Skylar Grey, and many more acts. 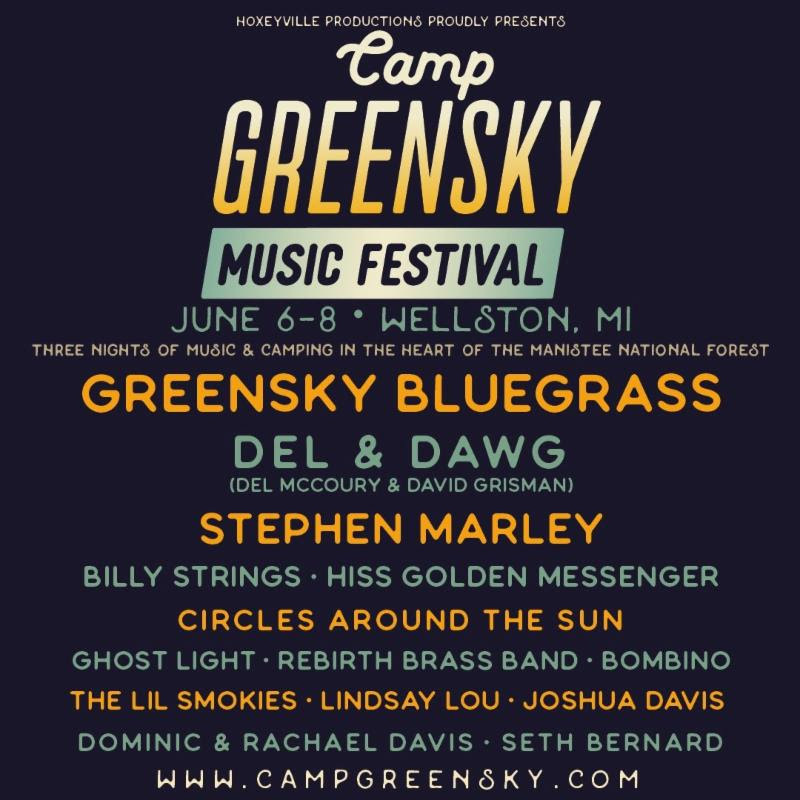 Be sure to view the poster above for more specific performance details plus more artists on the scheduled line-up. Tickets are now available in 3-day passes, VIP, and single-day tickets.